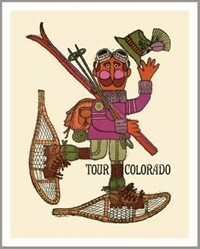 This 1970’s original ski poster made for Colorado Ski Country USA by artist John R Rieben is a simple line design forming this downhill skier what a great piece for your condo at the slopes! 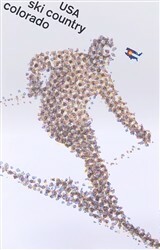 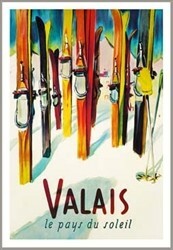 If you like to collect original ski poster this is a good one! 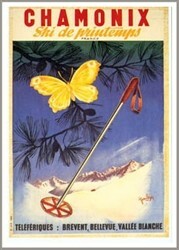 Poster Size – 24 x 37 1/2 inches.